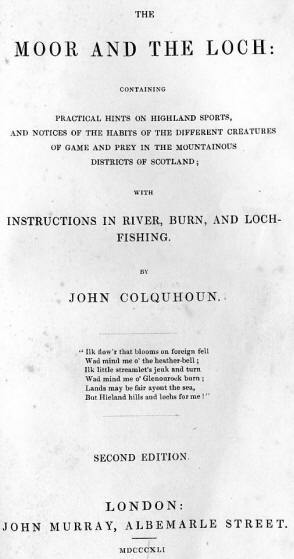 Sir James Colquhoun of Luss, Bart., M.P., &c., &c.
I OFFER no apology for the publication of this volume, as I have never seen any other which attempts to give minute directions in the sports, or information regarding the animals, - of my native hills; and since they are becoming increasingly the objects of pursuit, especially to English sportsmen, some such book seemed really needed. With regard to the subject itself, many will blame as trifling any work which treats merely of amusement; and I am aware that this censure is not altogether unfounded. It is not, however, to divert men from higher occupations, that I ask them, now and then, to ramble over the wild hill or by the side of the moorland loch. Would not the dyspeptic student feel both his mental and bodily powers increased by such a substitute for his customary monotonous stroll? And need I tell the indolent voluptuary or midnight opium-eater what benefit he might find, would he thus change his stimulus, and ensure to himself the quiet slumbers which follow temperance and health? I well know, indeed, the engrossing nature even of these harmless recreations, and am far from intending my book to lead any one to spend as much time in them as I have too often done. But I rather hope it may have a contrary tendency, by communicating to the novice in Highland sports such knowledge as he could not acquire for himself without long practice and patient investigation. The sports of the field, when taken as recreations, and not as pursuits, may surely be ranked among the most innocent; nor can I see that hours passed in such scenes as those I have attempted to describe, need be lost to an observant and well-directed mind. 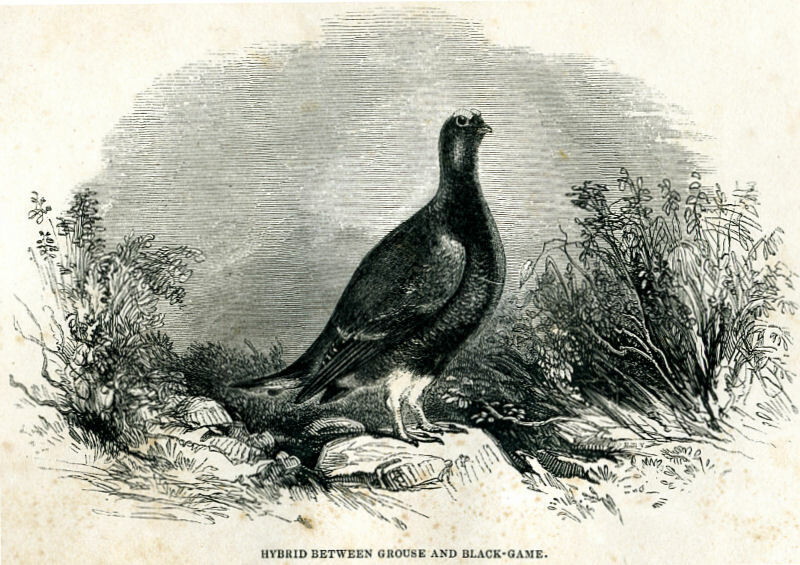 IN presenting to the public a second edition of " The Moor and the Loch," I beg to offer my most sincere thanks for the very gratifying manner in which the first was received. The whole has been most carefully revised and much enlarged. 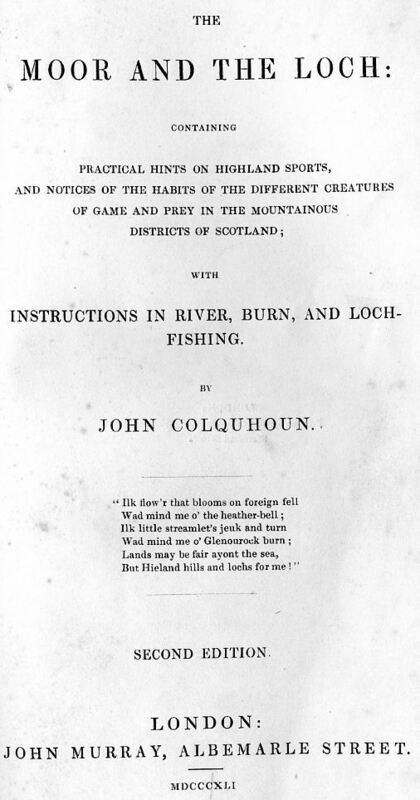 Having been repeatedly told that an article on Deer-stalking - that most truly national of all Highland sports - was quite a desideratum in such a book, I have added a chapter on the subject, the materials of which were gathered exclusively from my own experience. Should this happen to interest any one who has a taste for the rifle, let me recommend Mr. Scrope's beautiful work, which ought to ornament the library of every sportsman in the kingdom. I have also inserted chapters on Burn and River-fishing, comprehending my ideas of that delightful amusement, deduced from the practice of my early years to the present time. They differ a little from the theories professed by many who consider themselves masters in the art, but have at any rate the advantage of being less complicated; while, as to the point of success, I leave its decision in the hands of any accomplished Fly-fisher. HABITS, MANNER OF SHOOTING. &C.